You have a date this week and you have been praying all throughout, asking God not to give you pimples till that date. The best part is God answered your prayers. The worst part is that you have got blackheads instead. Your skin is clean and free of pimples, except for your nose that is looking slightly black. What do you do now? Don’t panic. We have the perfect solution for you. 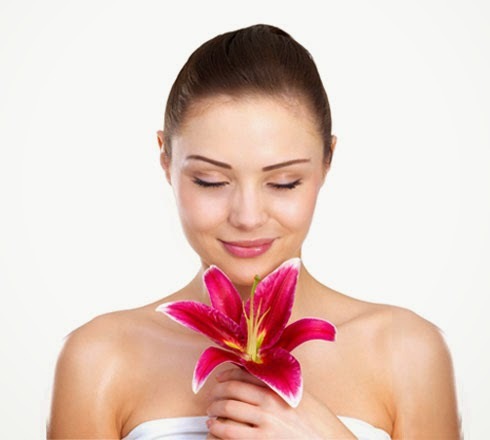 In the following lines, we have provided complete information on how to remove blackheads. Follow them and get that perfect, smooth look. You can make use of the following three procedures for removing blackheads at home, quickly and easily. Take a clean face cloth and wet your nose with it. Make sure not to drench your nose, it should be moderately wet. Dry your hands completely and take out the packet containing the nose strip. Tear off the packet and take out the nose strip. Remove the covering paper. Now, place the sticky side of the strip on your nose and press it slightly, to make sure it has stuck to your nose properly. Wait for 5-7 minutes, till the time the strip dries out completely. Wait a single stroke of hand; take off the strip from your nose. The blackheads will come off along with it. Wash you face with lukewarm water, but do not dry it with a towel. Take a coin-sized dollop of facial scrub on your hand. Rub your palms together, to create lather. Now, apply the lather over your face and massage gently. Make sure to concentrate over nose, just below the lip and the other areas of the face where you usually get blackheads. Continue the massage for at least 5 min. Rinse off the scrub from your face, with the help of cold water. Fill a medium sized container with boiling water. Take a towel over your head and then, put your face over the container to take a steam. Continue taking the steam for at least 10 min. This will soften the blackheads and open up the pores, making it easier to take out the blackheads. Clean the blackhead remover tool with an astringent or with soap and water. Place the tip of the tool wherever you have blackheads and apply slight pressure. The blackheads will start coming out very easily. Whenever you remove blackheads, your pores open up. Make sure to clean your face with toner after removal. Thereafter, wet a towel with icy cold water and put it on your face. Finally, apply a pore tightening face mask. This will make sure your pores don’t remain open. Never ever remove blackheads by pinching or squeezing. It might irritate your skin and lead to scars. Avoid touching your face as much as you can, especially after removing the blackheads. Do not use facial scrub if you have acne. It can aggravate and spread the condition. Before removing your blackheads, through any of the three methods, be sure that you skin is clean and free of moisturizers and creams.